1. On 8/19/2017 at the Vision Center next to Vision Works in the Kroger shopping center in Tomball located at 14002 FM 2920, Tomball Texas 77377. 2. On 8/24/2017 at the Augusta Pines Walmart located at 25800 Kuykendahl Road, Tomball Texas 77375. 3. On 9/30/2017 at the Tomball Beetles, Brew & BBQ located at 201 S. Elm Street (by the Depot), Tomball Texas 77375. The Tomball Lions Club will be doing this as a community service. So bring out your Kids, Grand kids/ Nieces and nephews and take advantage of this service. 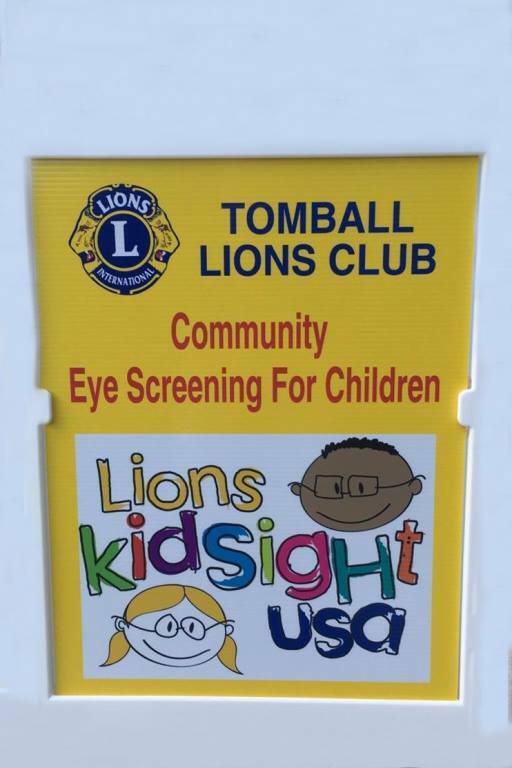 For more information, contact Tomball Lions Club President Robert "Bubba" Hardee - Cell - 832-270-2019. Please share the events with everyone that you know so that we can have a huge crowd show up for the events.